What do you do when you crave something sweet, but you are watching what you eat? 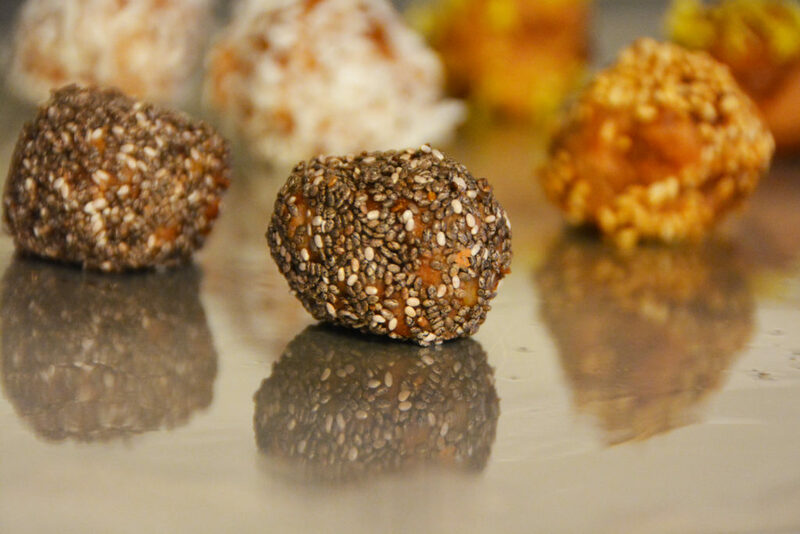 Whip up a batch of gourmet truffle bites featuring four simple and healthy ingredients. 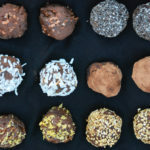 Banana Peanut Butter Bites are a well balanced treat developed to provide sustained energy without compromising big flavors. Oh, and did we mention are bites are gluten-free, vegan, all-natural, and absolutely delicious! For many struggling with eating healthy, snack time can be the most difficult meal to manage. With overly processed treats that are packed with too much salt, or too much sugar, it can be difficult to find a snack that benefits your diet. We combined a few of our favorite snack staples to create a treat that you can feel good about eating. 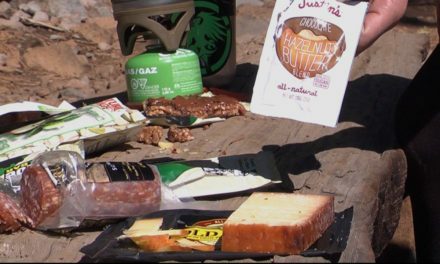 At home or on the trail our bites are pack and snack friendly. When enjoyed in moderation, these little powerhouses provide a quick burst followed by sustained energy to get you through to your next meal. We like to keep them around the house and snack throughout the week after lunch. The sugar comes naturally from the banana, and the fats are mainly derived from the peanut butter. 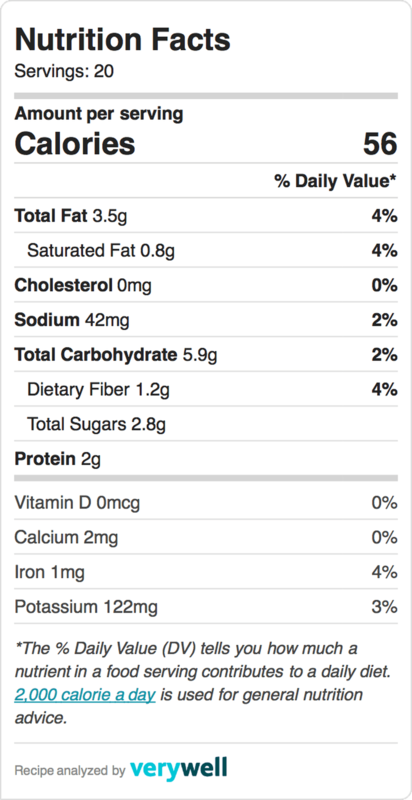 Our bites are made with 4 base ingredients: bananas, peanut butter, cocoa powder, and sea salt. The fifth ingredient is up to you! 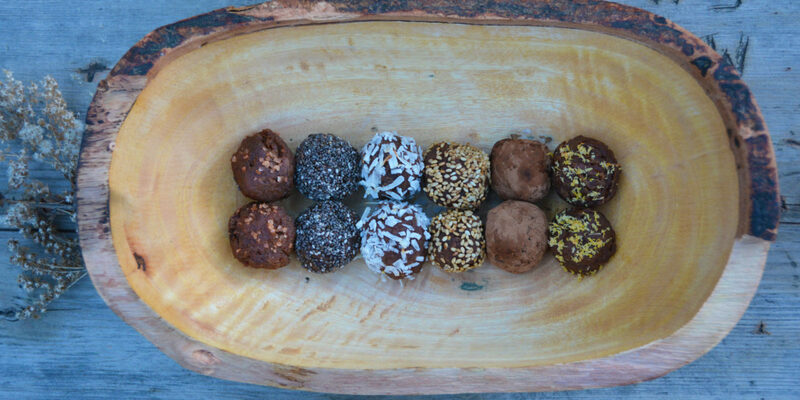 Roll each ball in your favorite topping for a personalized nutritional boost. Some of our favorite toppings are: omega-rich chia seeds, dark cocoa powder, refreshing lemon zest, and toasted sesame seeds. Mix several toppings together for bigger bursts of flavor. Try coconut flakes with a light sprinkle of Hawaiian sea salt, or cinnamon and paprika, even Matcha powder with dried seaweed if you really want to get crazy! Whip up a big batch of bites to eat throughout the week, or store in a freezer for your next big adventure. 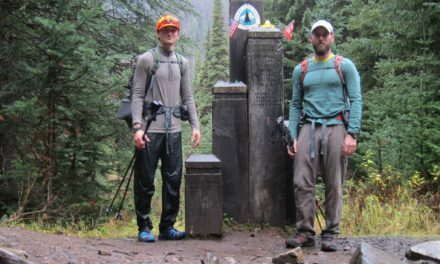 For trail and home bite storage try these eco friendly biodegradable zip sealing bags. Follow our easy recipe below to make your next outdoor or at home dining experience decadent. Preheat the oven to 350 degrees, grease a small cake pan or loaf pan and set aside. In a small microwave-safe bowl or stovetop, melt your nut butter. When melted, add banana, salt and cocao powder. Stir ingredients together by hand stirring. Stir until mix becomes semi-creamy. Pour the mixture into the greased pan and bake for 20 minutes. Let cool for 20 minutes in fridge or cooler. Wet hand with water. 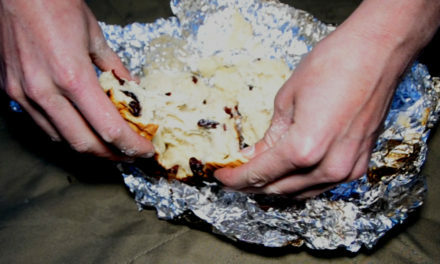 Take 2 inch sized pieces of semi-cooked dough and roll in palm of hands until dough becomes round shaped. Lay your topping (suggestions listed above) on a clean flat surface. Roll dough over topping, stop when ball is fully coated. Place coated balls on a greased sheet and place back in oven for 15 minutes. When done place balls on cooling rack for 30 minutes. Freeze in a tightly sealed bag (lasts months in proper storage environments), or store in tighly sealed container in refrigerator (lasts 1 week with proper storage).